From the new booking window, next to 'Book Ride' click the green arrow. 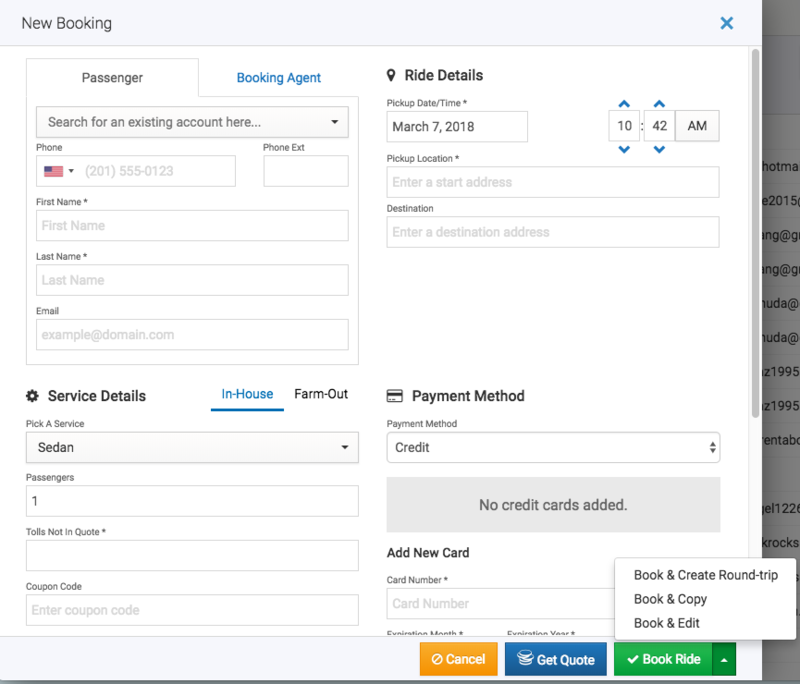 'Book & Copy', to make a duplicate of the ride you just booked. Upon selecting either option, a new window will pop up with either the reversed ride information for round-trips, duplicate information for copy, or the edit ride details screen for book & edit.